Taylor Door Co. is the No. 1 choice if you are looking for garage door repair Sterling Heights, Michigan. We strive to have the best service and products to all of our customers. We have been in business for more than 30 years and are a member of the International Door Association. The experts at Taylor Door Co. want to make sure the repairs and other services are done as efficiently as possible. We can repair everything from cables to garage door springs. Get a free quote for your garage door repair Sterling Heights by calling 586-755-6500 today. We can assist you with any of your garage door repair needs. Contact us for information. We Can Fix Your Broken Garage Door in Sterling Heights Today! 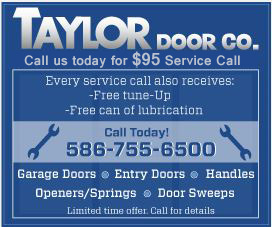 Taylor Door Co. will help you with your garage door repair in Sterling Heights today! Our team is knowledgeable and quick, so you can have your door looking like new in no time. 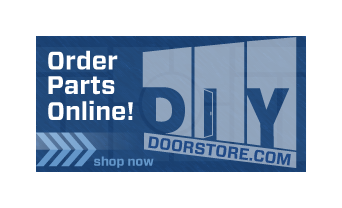 Taylor Door provides door part shopping, repairs, installation and other services. We can do same-day service if you call before 11 a.m. Call today for a free quote for your garage door repair Sterling Heights.